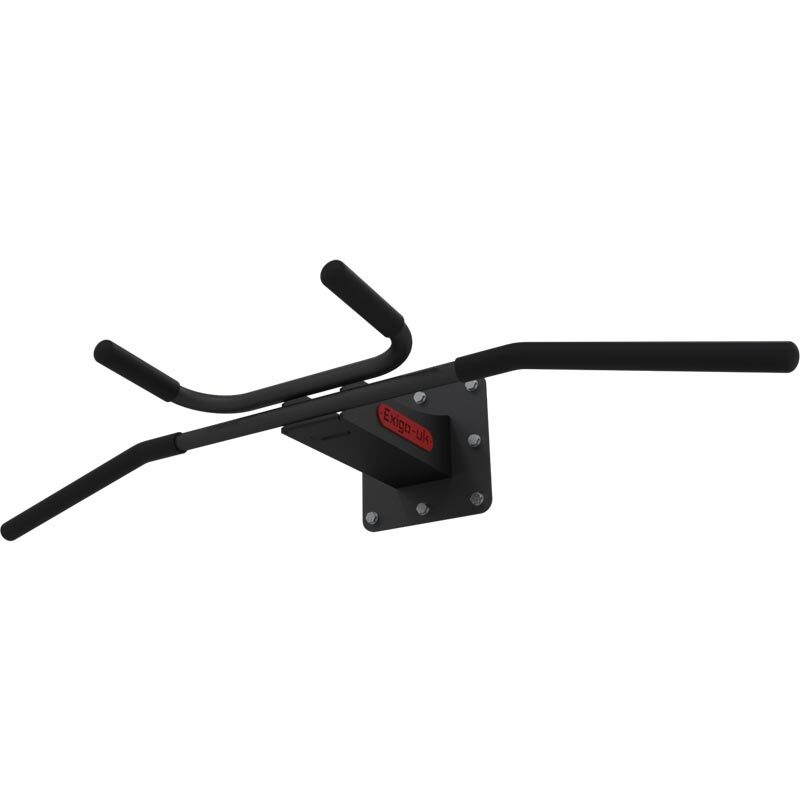 The Exigo Wall Mounted Multi Grip Chinning Bar is a heavy duty wall mounted chinning bar with rubber handle grips to ensure maximum grip, comfort and safety when using. The multi grip position offers a variety of workouts for training the chest and arms. Easily attached to any solid brick or stone surface, suitable for indoor or outdoor use. All fixings and instructions included. Suitable for commercial gym's, clubs and home use. Designed to ensure suitable wall clearance. Increases overall upper body fitness and strength with chin ups and pull ups. The back plate dimensions: Back plate dimensions are as follows: 225mm x 225mm square and all holes are 20mm in from the edge. Suspension training kits are sold separately. Overall dimensions: D52cm x W119cm x H38cm.